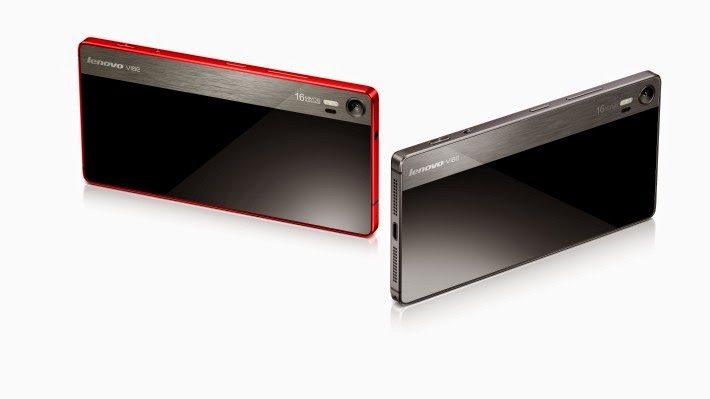 Lenovo unveiled its latest smartphones – the camera-centric Vibe Shot and A7000 in the Mobile World Congress 2015. The Vibe Shot is the latest smartphone to boast out-of-the-ordinary camera features with its 16-megapixel offering with six-piece modular lens. It is equipped with Infrared autofocus rear camera with tricolor LED flash. The sensor features Optical Image Stabilization (OIS) which reduces camera shake; and performs pretty well in low-light conditions. At the front, 8MP selfie camera is up for your pointing-and-shooting activities. The handheld sports a 5-inch display with Full HD resolution and 441 ppi pixel density. This runs on a 1.7GHz octa-core processor using 64-bit Snapdragon 615 chipset which is commonly used with upper mid-tier smartphones. The processor is supported by a beefy 3GB of RAM and powered by the newest Android Lollipop OS (v5.0). Lenovo Vibe Shot also gives a generous 32GB storage which can be expanded up to 128GB via microSD. In terms of connectivity, the handset has blazing fast LTE chip, WiFi, Bluetooth 4.1 Low Energy, GPS and A-GPS. The device will be powered by 2900mAh Li-Po non-removable battery on the get-go. The hardware may offer considerable amount of muscle yet Lenovo still managed to give the phone a svelte aluminium finish at 7.3-millimeter depth. The Lenovo Vibe Shot will come in gray, red and white hues at USD 349 price tag. The Chinese outfit also eyes June for its worldwide release.